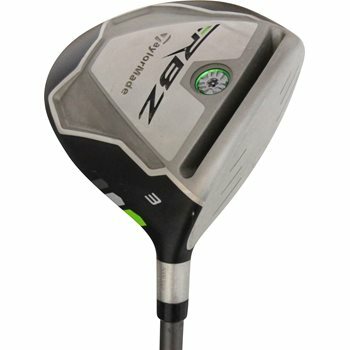 The TaylorMade RocketBallz fairway wood uses breakthrough technology to boost the clubface COR to an extreme. The Speed Pocket in the sole boosts ball speed dramatically for more distance. The Thick-Thin Crown design creates lower CG to promote higher launch for more distance. The low/forward CG promotes a higher launch and low spin. The white crown and black face makes alignment easy and eliminates glare on top. This fairway has increased 17 yards to most players’ current woods.